Center of Excellence for Chagas Disease | Slymar, CA | What is Chagas Disease? Chagas disease is a parasitic infection caused by a protozoan, Trypanosoma cruzi. It affects over 6 million people worldwide, including over 300,000 in the United States. 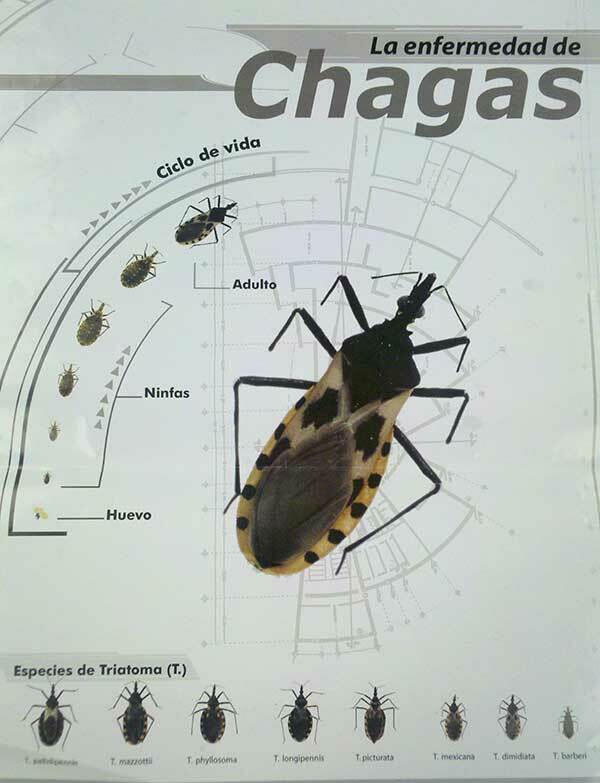 Chagas disease is usually transmitted by blood-sucking insects of the reduviid family, also known as kissing bugs in the United States and chinches in Mexico and Central America. Other forms of transmission are also possible, although the disease is not contagious through everyday or sexual contact. 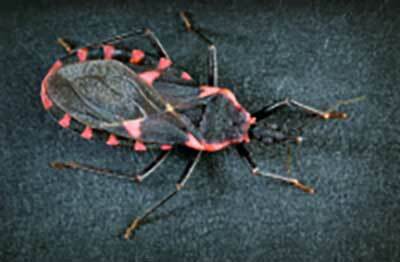 Kissing bugs are found throughout the Americas from Argentina to the southern United States. These insects feed at night when their hosts are sleeping. As they feed, the bugs defecate, and the feces contain the parasites. The sleeping victim scratches the bite unconsciously, while sleeping, and sometimes introduces the feces into their bloodstream. However, not all kissing bugs have the parasite, and not everyone who is bitten by an infected kissing bug will get Chagas disease. Once the parasites enter the bloodstream, they swim about freely and can be observed in a microscope. Most people do not feel sick immediately after infection, although others will experience fever, diarrhea, nausea and other symptoms. These often resemble common viral infections. After this, the parasites hide deep in the bodies tissue to avoid the immune system. They can stay hidden for a long time—in fact, throughout the lifetime of the infected person. They will not produce any further symptoms for years. This is why most people who are infected don’t realize they have the disease. Then, 20-30 years after the initial bite from the kissing bug that gave them the parasite, 30-40% of all infected individuals start to experience health complications. Researchers do not yet know why some people get sick and others don’t. In most cases, the heart is affected. It becomes enlarged and has trouble pumping blood, which can lead to heart failure. Others, especially if infected in Brazil, Bolivia, Paraguay, Chile and Argentina, may develop digestive complications. Their intestines become enlarged, causing severe complications. Although it is rare, a few others will develop problems with the nervous system. In many cases, chronic Chagas disease can be life threatening. This is why it is important to get tested if you are at risk!